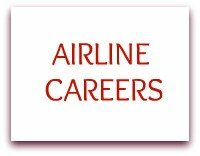 Airline Careers - Although flight crews—pilots and flight attendants are the most visible occupations, the vast majority of the industry's employees work in ground occupations. A bachelor's degree is increasingly required or preferred for most pilot and flight attendant jobs. Job prospects generally are better in regional and low-cost carriers than in major airlines, where competition for many jobs is keen. A unique benefit—free or reduced-fare transportation for airline employees and their immediate families attracts many job seekers - According to Bureau of Labor Statistics, U.S. Department of Labor. The dispatcher's signature, along with that of the pilot, releases the aircraft for flight. The dispatcher maintains a constant watch on all flights dispatched and is the go-between for the pilot and ground service personnel. The Aviation Meteorologist analyzes weather data and prepares weather reports for the flight dispatcher, pilots, and other airline personnel concerned with weather information. He or she assists the flight dispatcher in preparing flight plans. The Schedule Coordinator makes decisions affecting the seating arrangements of planes, turnarounds, estimated times of arrival, and unscheduled stops. The Station Agent is similar to the Ticket Agent, although they do not actually sell tickets. This is also a highly visible position, and usually requires a uniform. The gate area of some airports operates 24 hours, and offers a wide variety of work schedules. The arrival and departure gates are located in the concourse area of every airport that particular airline serves. Founded by a group of 14 airlines meeting in Chicago in 1936, A4A was the first and remains the only trade organization of the principal U.S. airlines. A4A is recognized by Congress, state governments, the Department of Transportation, the Federal Aviation Administration, the Department of Homeland Security, the Transportation Security Administration, the press and the public for its professional and accomplished representation of the industry. As A4A members chart their futures in an ever-changing market, A4A provides valuable expertise, guidance and assistance.